FBM- Lost as Hell! – FBM Bike Co. Scenes from the latest FBM DVD – LOST IN AMERICA! If you want to see what the FBM crew at large is up to as well as product updates and more, hit up FBM Bike Company on Instagram. Looking for something awesome? Check it out! 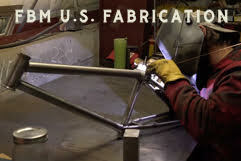 To learn more about FBM Custom frames, click here! Hit up your Favorite FBM dealer or holler at the FBM Online store! Next Next post: New FBM OG Cross sprockets!